…dedicated to the beneficial management of natural resources and natural areas within our communities. Thank you for visiting our website. 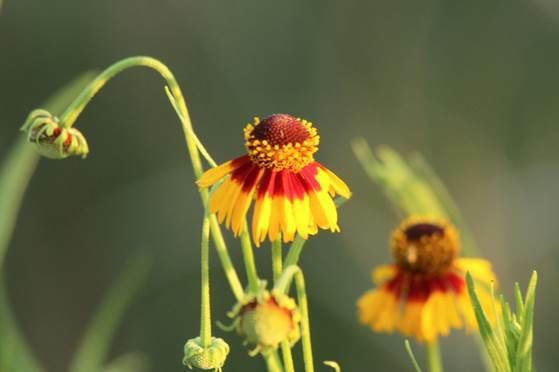 We hope that these pages will answer most of the questions you might have about the Hays County Chapter of the Texas Master Naturalist Program. To get a better idea about our activities and programs, please feel free to browse the information and links provided below. If you have other questions, please don't hesitate to contact us. INTERESTED IN ATTENDING THE 2020 TRAINING CLASS? We are teachers, guides, photographers, trainers, volunteers, videographers, bird experts, biologists, geologists, conservationists and neighbors who will help. We are all trained volunteers living in Hays County. We are Master Naturalists. The Hays County chapter of the Texas Master Naturalist™ program is dedicated to the beneficial management of natural resources and natural areas within our communities through the formation of a corps of trained volunteers. To achieve these goals, the Hays County Master Naturalist (HCMN) chapter provides training and volunteer opportunities to individuals who wish to learn about and promote the sustainable use, conservation, and maintenance of our natural resources and who afterward are willing to continue serving as volunteers in such endeavors. The program is presented through a collaborative effort of professionals from Texas Parks and Wildlife Department, the Texas A&M AgriLife Extension Service and other organizations, as well as past students of the Master Naturalist Program. HCMN is a chapter of the Texas Master Naturalist program, a statewide organization sponsored jointly by Texas Parks and Wildlife Department and Texas A&M AgriLife Extension Service. To gain the designation of a Texas Master Naturalist, you must participate in an approved chapter training program with a minimum of 40 hours of combined field and classroom instruction, obtain 8 contact hours of approved advanced training, and complete 40 hours of volunteer service. Upon starting the initial training program, you have a maximum of fifteen months in which to complete your 40 hours of volunteer service and 8 hours of advanced training. To retain the Texas Master Naturalist title during each subsequent year, volunteers must complete 8 additional hours of advanced training and provide an additional 40 hours of volunteer service. 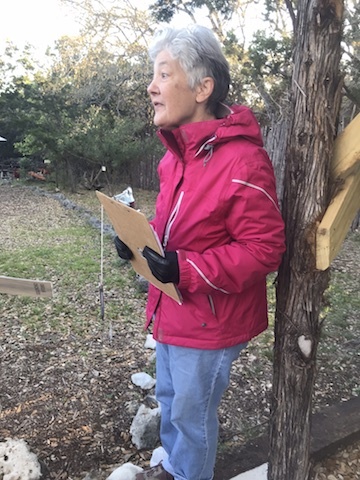 In the Hays County Master Naturalist training program, recognized experts in the field teach wildlife and conservation management, focusing their instruction on the native ecosystem of Hays County. Trainees in the program are required to attend classes, perform approved volunteer work, and attend advanced training in their areas of interest. The course gives trainees opportunities to learn about natural resource conservation, to meet and associate with others of similar interests, and to visit places in the county that they might otherwise never see. A single class is offered each year, running from February through October. Those interested in the 2020 class should contact bkconley@ag.tamu.edu.